Our cellular drinks are designed at the tissue cell and is tasked to create energy, remove waste, and add specific nutrients to the body’s system. Also, the cellular shakes contain anti-pathogen component. Need a boost in sports-related activities and fitness? Try our energy enhancing drink all natural, all organic releasing the waste such as dead cells to increase your nutrient levels to allow an increase of circulation throughout the muscular system. With this increase of blood and oxygen, you'll reach your full potential in no time! Yes, nutrients are vital to the pain experienced in your joints, head, and other key body areas we are all to familiar with! Our nutritional shakes prevent and protect you from the pathogens that creates these aches to begin with. Try em' today and see if you don't see results within hours. While similar to pain, aches in the joints related to rheumatoid arthritis are caused by parasite and eggs often affecting the skeletal system. Our nutritional shake will kill these parasites, remove waste, work directly with the building blocks of your body (cells) to reduce the amount of pain experienced. We have had success story after the other, try today and tell your own. Our Cellular Detox Cleanse will have you saying good riddens to toxin waste and hello to nutrients that will revitalize your mind, body, and soul. Experience the hidden energy within you today when you try our nutritional detox shake. All of our drinks our made with natural ingredients that are free of harmful toxins to include caffeine. Also, all of our drinks and shakes are made with anti-pathogen components to further maximize your results, regardless of the shake or drink taken. 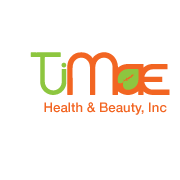 Start improving your quality of life and find the right Timae Health Product for you today! "These statements have not been evaluated by the FDA. This product is not intended to diagnose, treat, cure, or prevent any disease?"